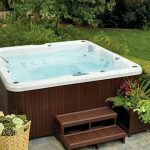 Researching your hot tub or spa purchase usually covers the hot tub itself like the types of jets or whether it has enough seating for all your friends. You’ll purchase accessories like cleaning supplies and hot tub covers, too. 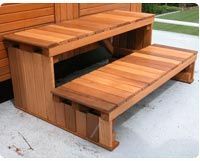 One of the most neglected accessories for your hot tub are hot tub steps. You’ll need a way to easily get in and out of your spa without climbing over the side uncomfortably. Don’t wait until you’ve set up your hot tub, regulated the water temp and added all the chemicals to figure out that you have no way to access the spa except to hop in over the side. You could pull a step stool in from a room of the home, but that’s not going to be a stable solution – especially when your feet are wet. You’ll end up slipping and falling. You’ll need the spa to recover from your spa injury! We’ve reviewed some hot tub steps recently. 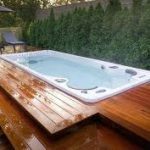 You can check out our reviews to find a variety of hot tub steps. Some are tiny stairs for those that just need a quick hop into the tub. Others are wide, can handle a heavier person, and might even have storage underneath. If you still don’t find what you want for stairs, you could build your own. They’re not too difficult if you have the right tools. The first step to building hot tub steps is to figure out what kind you want. The real reason to build your own is customization. You get to pick the height, width, and materials for your steps. They could be coordinated with the hot tub, your home, or the outside décor. Most stairs are a few feet wide. What if you want a set of stairs that span the width of the spa? Building hot tub steps makes more sense. 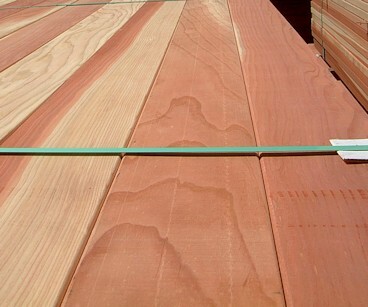 Once you have the materials in mind, it could be cedar, redwood, or fir, you will need to purchase the lumber. 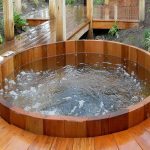 If you are using the hot tub outdoors, the lumber will have to be treated for outdoor use. Or treated after it’s been built to ensure that it can handle the weather. The steps can be as wide or as narrow as you want. That’s the beauty of crafting your own stairs. You’ll need stringers for the risers, pieces for the sides, and a few for the treads themselves. The length and amount of wood needed for the stairs will vary depending on the size and width of the stairs. Most stairs have two treads, which are enough for most people to climb into their hot tub. These are general measurements because the ones you’ll need will depend on the size of your stairs. You might want 2-foot wide stairs, or ones that span the entire side of the hot tub. Cut the pieces before you think about assembly. The length and the width will vary. You’ll need stringers, which are the edges that the treads rest upon. You’ll needs sides and treads, too. Cut 4 pieces of wood for the stringers and 4 pieces as the sides. 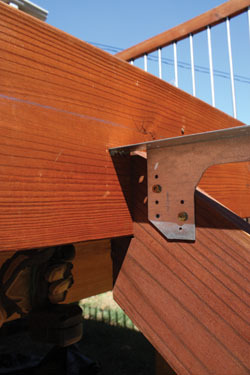 These can be cut from the 2x4s or the 2x8s. 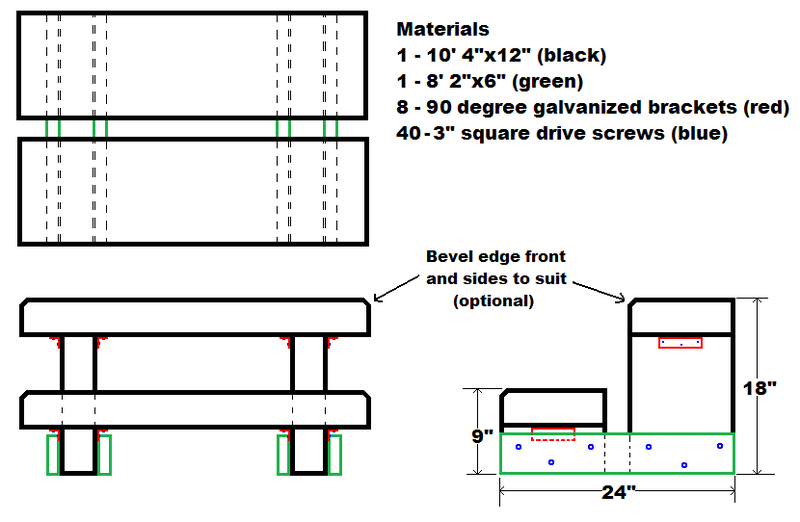 You’ll need 4 pieces from the 2x4s or the 2x6s for the treads, too. You’re basically building boxes for the treads to be laid upon. Make sure to use your measuring tape to get exact measurements and ensure that each step is the same accuracy. Drill holes for the screws and fill them with wood glue before attaching with the screws. Between boards that meet, add an extra layer of wood glue for stability. Brackets will also give you an added layer of stability for your stairs. Use brackets to attach the stairs to the side of the hot tub, too. There’s no sense having wobbly stairs leading to your hot tub. If you want to remove the stairs after the season is over, you can attach them with removable hardware. This will make storing them much easier. 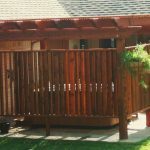 Adding weather-resistant stain will help them last for a very long time no matter what Mother Nature has in store for you. 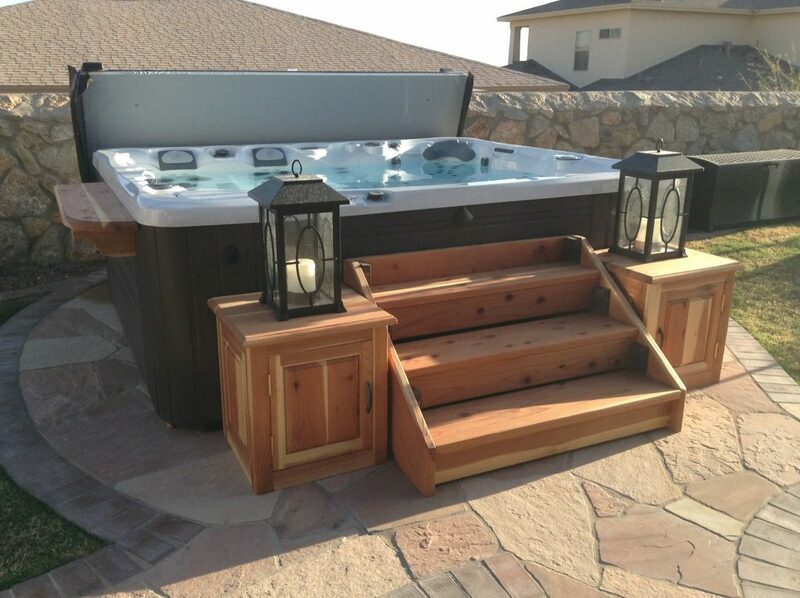 Custom building your hot tub stairs will allow you to make the perfect set of stairs for your spa. 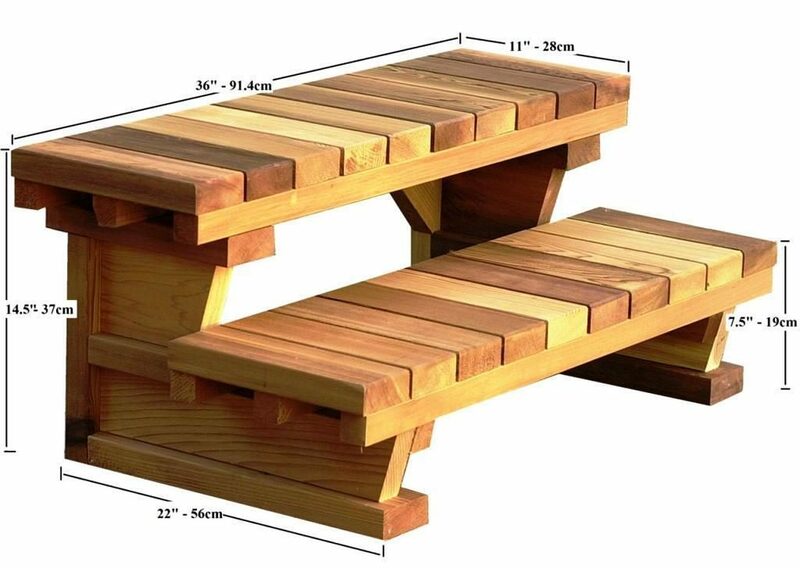 You can also add railings for more safety features or build them using sturdier wood, so they’ll hold added weight. The possibilities for your own custom stairs are endless. How to build hot tub steps comes down to the ability to saw the wood, nail them together, and attach them to the hot tub. These are all things that even the least handy among us can handle.